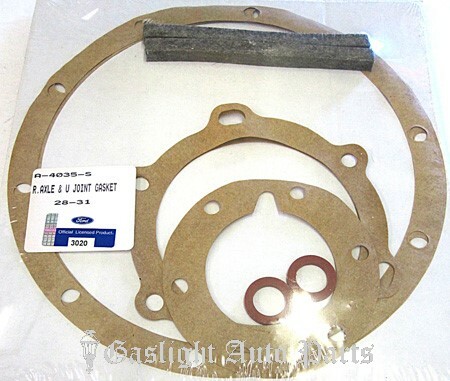 Rear End & Universal Joint Gasket Set. Fits all Model A's except AA. Also fits 1932 Model B. (9 pcs.) Sold as set, 1928-32. Shipping added when packed and weighed.